The most important aim of this book is to recreate a picture of daily life in our villages during the Second World War. Fortunately there are several people with first-hand experience of that time and they have been most generous in sharing their memories with the author. 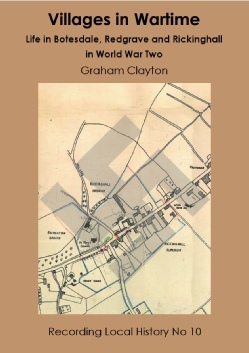 This book is dedicated to all those men, women and children from our villages who ‘did their bit’ when Britain was facing the very real prospect of invasion in the Second World War. This includes those who went off to fight and never returned, those who welcomed evacuees into their homes and those who devoted time to collecting anything from money to scrap of every sort to help the war effort.